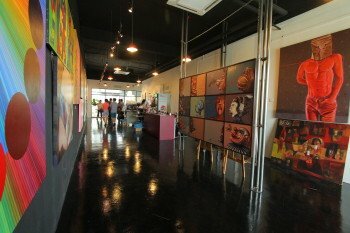 What started out as personal collection of works from Yogyakarta artists, built across the span of several years, formed the bulk of Artemis Art’s collection of works when we first began operations in 2011. Since then, much has changed, apart from moving to our current location in early 2013. Now into our fifth year of operations, we see ourselves as a platform for young artists to gain a foothold in the art scene, regardless of whether they’re still in school, recently graduated, or even self-taught. What’s important is the quality of work and their commitment and determination to their art. 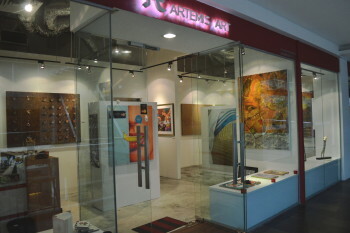 In the larger sense, Artemis Art is doing it’s part to help raise the level of art appreciation among Malaysians. Art appreciation is, of course, a component of culture as a whole, and when the level of appreciation for visual art increases, so does the overall culturedness. The promotion of contemporary art from Indonesia still forms an important part of our operations, and we’re looking to expand our regional focus to include other Southeast Asian countries in the years to come, through exhibitions done at our gallery, at Publika, and through our participation in international art fairs. We’re currently located at Lot 21 & 22 Level G4 Publika Shopping Gallery, Block C5 Solaris Dutamas, No. 1 Jalan Dutamas 1, 50480 Kuala Lumpur, Malaysia. Come visit us soon to view our collection for yourself. We look forward to hearing from you, or better still, to see you in person at our gallery! Our home since January 2013, located at Level G4 of the Publika Shopping Gallery.